A virus destroys the communication network of the Canadian diplomatic service. Carson Pryce, a reclusive, moody intelligence analyst, and Rachel Dunn, a brilliant diplomat with a glowing humanitarian track record, are implicated in the event. For years, Carson has been secretly obsessed with Rachel, and abuses his privileged access to intelligence information to keep track of her and the people around her. He knows things about Rachel which she doesn't even know herself. The investigation into the virus deepens and Carson initiates a cover-up to prevent damage to Rachel's reputation. 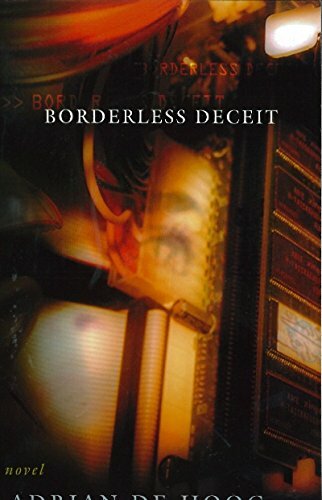 The plot in Borderless Deceit skips easily from Ottawa to Vienna, from Berlin to Alexandria and from Transylvania to Kenya. The action takes place in a world where privacy has disappeared, where hackers circle each other in cyberspace, and where a mouse click can orchestrate deceit in faraway places. Is there space in this for a rekindling of humanity's enduring values?